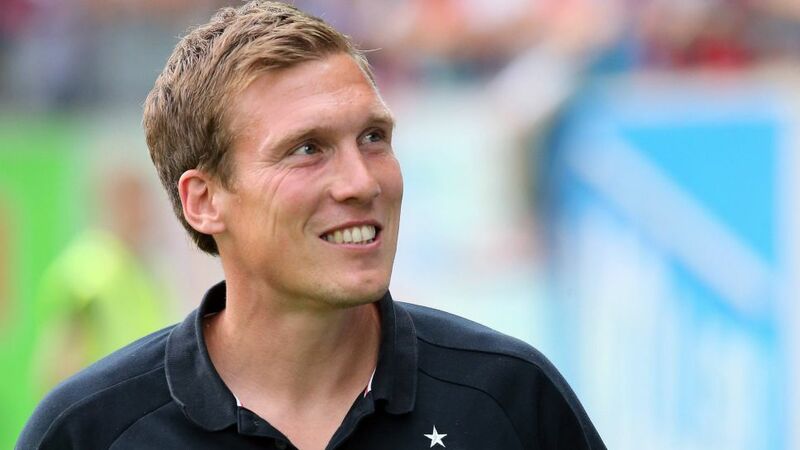 Stuttgart coach Hannes Wolf has capped a memorable ten months in charge of last season’s Bundesliga 2 champions by agreeing terms on a contract extension that ties the 36-year-old to Die Schwaben until 30 June 2019. Click here to see all of the Bundesliga summer transfers! Installed at the helm at the Mercedes-Benz Arena last September, Wolf oversaw 17 victories in 28 second division games as Stuttgart secured an immediate return to the Bundesliga following relegation from the top-flight in 2016. Speaking shorty after penning a deal that runs for the next two seasons, Wolf said, "It is both a pleasure and a privilege to continue with VfB Stuttgart. We have received a lot of respect and trust from the team, those within the club and the city as a whole over the past ten months. We will give everything in order to meet the responsibility handed to us and to mark a successful and positive path." A former striker in Germany’s lower leagues, the Bochum-native impressed while in charge of various youth teams at Borussia Dortmund, the club he joined in 2009. Having since enjoyed rapid success at Stuttgart, Wolf will make his Bundesliga coaching bow with his team opening their 2017/18 campaign away to Hertha Berlin. "The previous collaboration with Hannes Wolf was characterised by great mutual trust and common convictions," Stuttgart’s CEO for sports, Jan Schindelmeiser, said. "By extending this partnership until June 2018, we are expressing a desire for continuity in the [coaching position]." Watch: Stuttgart - a bedrock of footballing talent!